Bingham University, Karu was established by the Evangelical Church Winning All (ECWA) following its formal licensing by the National Universities Commission (NUC) on 5th January, 2005. As the name implies, the University was named after one of the trio of pioneer Sudan Interior Missionaries, Roland Victor Bingham whose vision along with those of other founding fathers desired to produce committed Christians in our institutions, including the University through which Christ-centred leaders would emerge. The founding fathers intend to meet the soaring need for not only quality secular tertiary education but education that recognises and integrates moral and spiritual values in the face of degenerating social decadence in Nigerian University campuses. The vision of Bingham University, Karu is to transform Nigeria into knowledge and skills – driven society (Prov. 29:18). Our mission for accomplishing the vision is to produce men and women who will catalyze the revolution in self-reliance at all levels of a Godly society (1 Cor. 2:12-12). The core values for Bingham University, Karu are Christ-centeredness, people-orientation, excellence, purpose -driven life and adaptability to a changing world (Rom. 12:2-3). Bingham University’s goal is to produce total men and women equipped to affect their generation positively for Jesus Christ, serving humanity in ways that are glorifying to God and dignifying to humanity (Prov. 29:18). Our motto is, ‘mission for service’. Academic programs of Bingham University began in May 2006 at the Jos ECWA Theological Seminary temporary site and moved to its present permanent site two years after, precisely in March 2008 to Karu – Nasarawa State – Nigeria at the outskirts of Abuja, the Federal Capital City. Indeed the feat of moving to the permanent site at such a brief moment of the University’s commencement is uncommon in the history of Nigerian Universities where many first and second generation government funded universities in the country have not fully moved to their permanent sites after decades of their existence. To the glory of God, the virgin land of October 2006 with no single building has now been transformed into a beehive of academic, professorial and Christian activities, courtesy of successive ECWA leadership, members and friends of Bingham University, Karu. 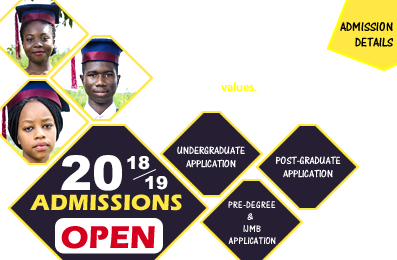 As with all other Nigerian Universities, Bingham University’s admissions are through the Joint Admissions and Matriculation Board (JAMB) combined with a post-UTME screening exercise. The University started with a faculty of Science and Technology (with programs in Biochemistry, Computer Science and later Microbiology and Industrial Chemistry), Faculty of Humanities, Social and Management Sciences (with programs in Accounting, Business Administration, Economics, English Language, Mass Communication, Political Science and Sociology) and the College of Health Sciences (with programs in Bachelor of Medicine, Bachelor of Surgery – MBBS, and later Human Anatomy and Physiology). English Language, Computer Science, Business Administration, Biochemistry, Accounting have full accreditation, while others have interim accreditation. It is worthy of note, that Bingham University, Karu is unique in the history of tertiary education in Nigeria as one of the few Universities to begin with a College of Health Sciences from inception gaining accreditation for MB,BS program at pre-clinical and first clinical accreditation levels from the Medical and Dental Council of Nigeria (MDCN). Clinical studies have also commenced at Bingham University Teaching Hospital, Jos where students are at various advanced stages of their training. The Accounting program also has full accreditation by the Institute of Chartered Accountants of Nigeria (ICAN), exempting graduates of the Bingham University from the first five of seven parts of the ICAN certification examination, among other benefits. The advertising Practitioners Council of Nigeria (APCON) has also given full professional accreditation to Bingham University Mass Communication programme. ICT development of the Students has a strategic focus in Bingham University. The University has in place a state of the art ICT centre with a student portal for integrated services developed and maintained by the versatile staff of the University’s Computer Science Department who offers uninterrupted service for the learning comfort of our students. The University Library works in conjunction with the ICT Centre to provide the Electronic Library Services, giving the students and other staff users access to a wide range of academic resources, including the robust NUC virtual library. Bingham University Management is constantly working in collaboration with her partners and friends at home and abroad to ensure the library is up to date at all times. From an initial intake of 124 students in May 2006, the University currently has a student population of about 2000 from all parts of Nigeria and beyond, pursuing their various programs. All students are resident on the campus. The University’s Management has out-sourced controlled catering services to both students and staff at affordable cost. There are also modest sports and recreational facilities on campus for the physical fitness of students and staff. The University has a comprehensive health centre at Karu that provides medical services to students and staff as well as the surrounding communities. Currently, the centre provides immunization services to children in addition to family planning services to women from the surrounding villages as part of the institution’s corporate responsibility to its host community and those around. The University host has equipped science laboratories instruction of students offering natural and applied science courses. Bingham University runs a 24 hour Chaplaincy service with three Chaplains assisted by some lecturers to cater for the spiritual needs of the students. A compulsory Bible Study Course holds for two hours every week from 100 to 300 level. A pass in this course is a pre-requisite for graduating from Bingham University. There are also compulsory Chapel hours on Mondays, Wednesdays, Sundays and most Saturdays. Students are also distributed into mentorship groups under dedicated staff to provide sound Christian mentoring. Students are also encouraged and supported to build prayer cells with their roommates. In addition, the Chaplains assisted by some staff conduct room-to-room evangelism once in a week to strengthen the faith of students as well as helping those who have not made their faith to do so in the Lord Jesus Christ. 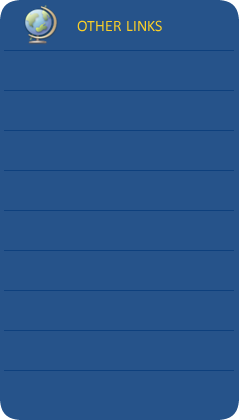 The University operates strict disciplinary tenets which are contained in the institution’s student handbook. It prescribes behaviour and dress codes acceptable to the University and the consequences of committing infractions against the regulations, In all, taken in conjunction with the efforts of the Chaplaincy, the regulations help not only to improve behaviour of students to become more disciplined but also to help them grow to be more like Christ. Violations are met with appropriate sanctions always after a fair hearing is given to the alleged offender. The University appreciates God for being its security. Efforts have however been made to put in place a structured security system with measures to secure life and property on the campus. A Police station is under construction on the campus. Plans are already going on to build a block fence around the University mass of land 259.88 hectares to further enhance security. Bingham University Karu within six years of its commencement of academic activities has graduated three sets of students who excelled in their various academic courses of studies. The University is most grateful to God for turning out graduates, men and women who have not only done well academically, but have grown both physically and spiritually as children of God who will continue to hold integrity as their watch word in the midst of a perverse society. We expect them to shine for God in their future endeavours by God’s grace. The University also held its first convocation ceremony in February 2012 where certificates were presented to the graduates. The occasion also featured the presentation of honorary degrees to some distinguished Nigerians whose exemplary godly life styles have been a model to the younger generation. The evolution of private Universities in Nigeria including Bingham University, Karu has contributed immensely to the country’s human capital development. The efforts of private Universities, especially Christian faith-based Universities in providing quality education in the face of over-whelming national challenges should attract the Federal and State Government support through the provision of grants from the Education Tax Fund to motivate private Universities to continue to complement government’s human capital development efforts in the country.